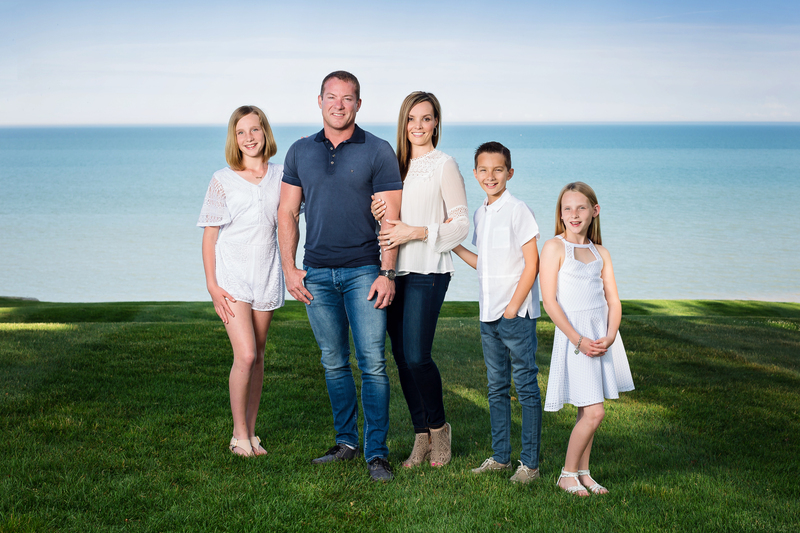 The story of Scotlynn Commodities begins on a small, family farm in the community of Vittoria, Ontario which is south of Hamilton on Lake Erie. While Scott Biddle, President of Scotlynn knew farming, he also always had a passion for trucks and machinery. Early in his career he worked for a few years at the Toronto Food Terminal where he made many connections with produce buyers and gained valuable knowledge in the logistics business. These early connections in tandem with his diversified knowledge of farming (as he had worked for many years on the family farm) and his knowledge of trucking (as he had driven for several years), combined with his drive to succeed is why he and Scotlynn are celebrating twenty five years of consecutive growth since Scott began Scotlynn Commodities. Scotlynn’s initial business plan was to be a for-hire carrier servicing local farmers and floral producers. Today, Scotlynn Commodities operates over 500 pieces of equipment throughout North America and employs well over a thousand people in North America. So what began as a family farm in the 90’s has now grown into one of Ontario’s largest farming operations. Their logistics company in the US; Scotlynn USA, has five locations – three locations in Florida, one in Georgia and one in Indianapolis, Indiana. Evolving from this, Scotlynn began SweetPac as their preferred brand for their premium, sweet corn grown in Canada and the US. This includes multiple farms and pack houses across North America where Scotlynn controls each stage of its products from the seed in the ground right to the grocer’s dock. In addition to corn, Scotlynn is the largest grower of asparagus in Canada with over 450 acres under cultivation. They are also the largest grower of Jack-o’-Lantern pumpkins in Canada and one of the largest growers of ginseng, most of it being shipped to China. Scotlynn was recently recognized by Loblaws as the 2018 Carrier of the Year award. Scotlynn will continue to do logistics/farming/transportation going into the future as the company has grown year over year in its first twenty-five years. “People will always need to eat perishable foods and we have not had a down turn in any of the years we have been in operation so, we will continue to grow all three areas”. We asked Scott about his hobby of snowmobiling and racing. In 2014 he began training for the Cain’s Quest Snowmobile Endurance Race which has been described as the ultimate in extreme racing. At 3,100 km of high energy racing in 2018, this race is the longest race of its kind in the world which is held in Labrador City, Newfoundland. Cain’s Quest is a true northern adventure that gives racers the experience of a life time. Racers push body and machine to the limits in an all-out race to the finish for a shot at a hefty prize purse. Teams will travel through a variety of topography, deep snow, thick wooded areas and wide open frozen lakes. Teams must make it through each checkpoint and stop at mandatory layover points in various communities along the way. Not everyone who leaves the start line will cross the finish line. Scott has competed in this six day race three times. The first time he did not finish, the second time he finished fourteenth and last year he came third. The race runs day and night guided by GPS and gut instinct to get teams from checkpoint to checkpoint. This event requires a solid strategy, top gun riding skills, the will to keep going, a tough, dependable snowmobile and a whole lot of luck! Scott also loves boating on Lake Erie in the summer and has taken his boat to Florida on the intercostal waterway. He also builds show trucks to exhibit at truck shows. But his real love is his family and farming. Scott and his wife Julie have three children; Cloey 13, Brennan 12 and Emersyn 11. All love to snowmobile with their Dad.